As I was in the neighboring Tohoku-region prefecture of Iwate when I came across that fabulous snippet, curiosity easily got the better of me. 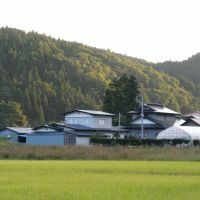 Equipped with a basic tourist map and not much else, I headed for the town of Ichinohe then turned off onto a one-lane road that meandered through idyllic countryside. 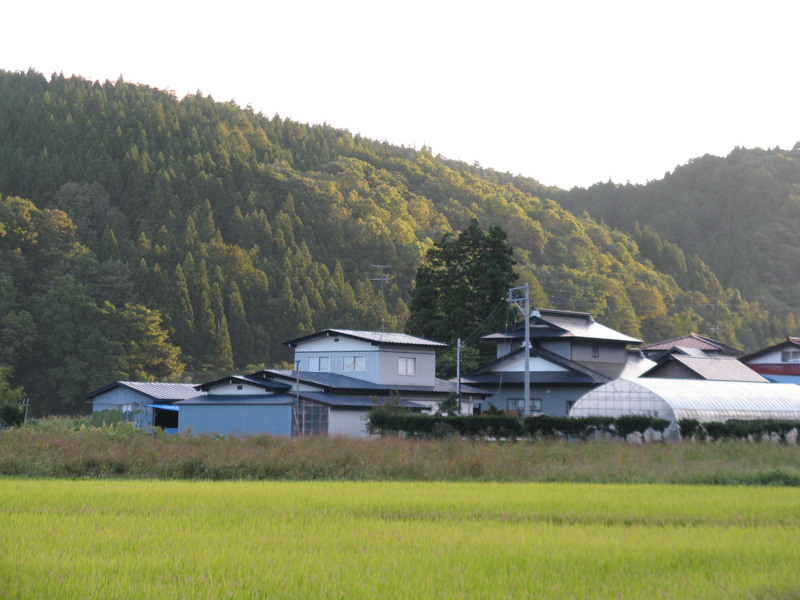 With terraced fields of rice and satoimo (taro) and peach trees, hawks circling slowly against brilliant white clouds, and deep forest on every side, it was as if I’d stumbled upon a place hovering in its own quiet realm, untethered from the surrounding rush and clutter. There are actually two graves. Each is a circular mound of raw earth marked with an unpainted wooden cross. In front of them sits a basket of coins and a vase holding a fresh bouquet of flowers. The grave to the left, I read on an information plaque, contains an ear of Christ’s younger brother, Isukiri, and a lock of the Virgin Mary’s hair. The one to the right is where the bones of Christ himself lie at rest. This, it turns out, is the story told in a peculiar collection of apocryphal papers called the “Takenouchi Documents.” They are said to have been copied about 1,500 years ago from even older documents, then passed down as a precious treasure from generation to generation of the Takenouchi family and made public (or fabricated, as the less gullible among us might say) in the late 1800s. Men from the same family also served for generations as priests at the Koso Kotai Jingu shrine in Isohara, which is now part of Kitaibaraki City in Ibaraki Prefecture. A three-volume English translation of these papers sits in a display case in the Legend of Christ Museum, handily located adjacent to the graves, and may be perused by visitors. The Japanese original is the work of the self-styled cosmoarcheologist Wado Kosaka (1947-2002), who not only transcribed the original “Takenouchi Documents” but also — according to the preamble to Volume 1 — attracted national attention in the 1970s when he contacted a UFO on live television. Although the documents described in the book are widely considered a hoax — Kyoto University religious scholar Toji Kamata has called them “fakelore” — they nevertheless contain all sorts of fascinating material, including descriptions of how ancestors of the human race came from outer space, what happened to Atlantis, and where Jesus Christ ended his life (this small town in present-day Aomori Prefecture, of course). In 1935, Kiyomaro Takenouchi, founder of a Shinto-derived religion based on the Takenouchi Documents, came to Shingo to search for the grave. 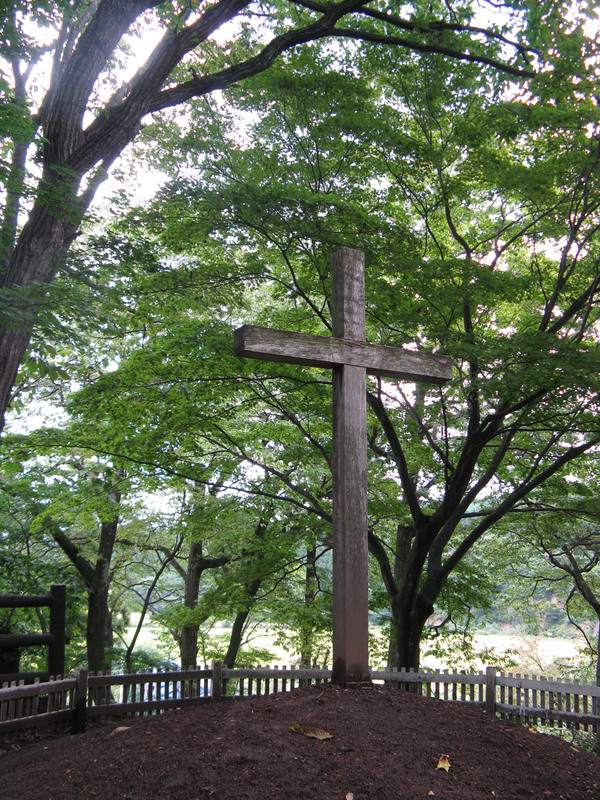 When the headman showed him two mounds in a (now cleared) thicket of bamboo, Takenouchi declared them to be the graves of Christ and part of his brother — and a legend was born. Not content with this scoop, however, observers soon began to point out some mysteriously un-Japanese characteristics and customs displayed by the villagers. For instance, there was a tradition of mothers marking the foreheads of their babies with a cross drawn in charcoal the first time they went outside. Babies were also kept in round woven baskets like those in the Holy Land. Odd words were used, and some villagers were said to look foreign. 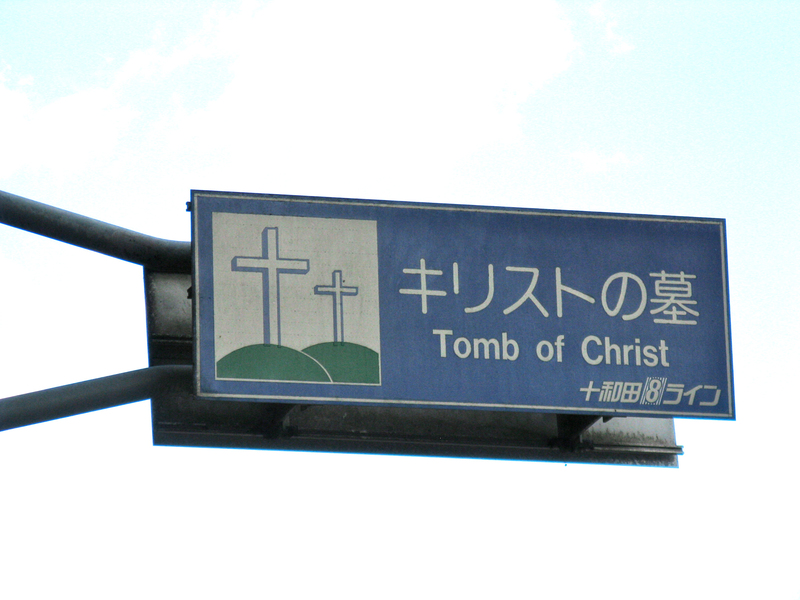 In 1936, more information explaining how Christ ended up in a remote Japanese village where winters are long and very snowy emerged when “archeologists from an international society for the research of ancient literature” discovered the last will and testament of Christ — according to a pamphlet from the museum. The pamphlet goes on to explain that, according to this testament, Christ first visited Japan between the ages of 21 and 33 (the Bible does in fact skip over large periods of Christ’s early life, and many theories exist about what he did in the intervals). The document claims he studied the native language and culture before returning to Jerusalem, where he was crucified. Only it wasn’t really him who was crucified. 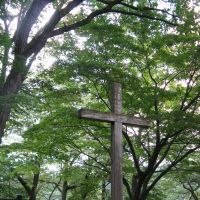 His younger brother, Isukiri (who makes no appearance in the Bible), nobly took his place on the cross, pretending to be the Son of God, while the real Christ fled to Siberia. A few years later, via Alaska, he arrived at the port of Hachinohe, just 40 km from Shingo. He made his way to the village, where he married, had three children, and lived to the age of 106. Having absorbed this strange tale, I went back down the hill and crossed the street to a little produce shop called Christop to see what locals made of it all. 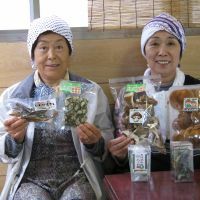 I bought a bag of wild grapes and sat down for a cup of coffee with Mariko Hosokawa, 58, and Yoshie Okuyama, 68, who were minding the shop. Both were born and raised in Shingo. So did they believe the legend? “It’s the central element of our tourist industry. If you don’t believe, you won’t be saved,” said Hosokawa, rather cryptically. Okuyama said that when she was a little girl there was an old man in town who was said to have descended from Christ. “Looking at him, I felt like there could be something to it. He really didn’t look Japanese. His clothes were different, too. He used to wear a long apron, and things that were embroidered,” she said. “And I had that cross drawn on my forehead when I was a baby,” said Hosokawa. 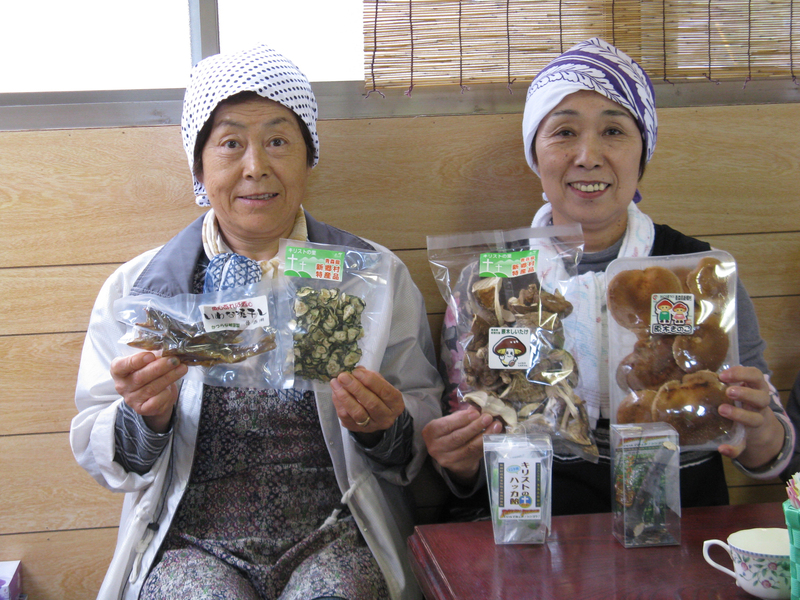 Up the road, Masami Sawaguchi was sitting on his stoop stripping edamame (soybean) pods off their stalks. Sawaguchi, 84, is from a family said to have descended from Christ, and he was 8 when Kiyomaro Takenouchi came to town. I asked if the discovery of the graves caused a local uproar. Neither Sawaguchi, Hosokawa nor Okuyama is Christian. In fact, it turns out that there is just one Christian family in town. I decided to go in search of them. Toshiko Sato is 76 and lives with her husband far up a mountain road, in a white house with a pink porch and a pretty flower garden outside. 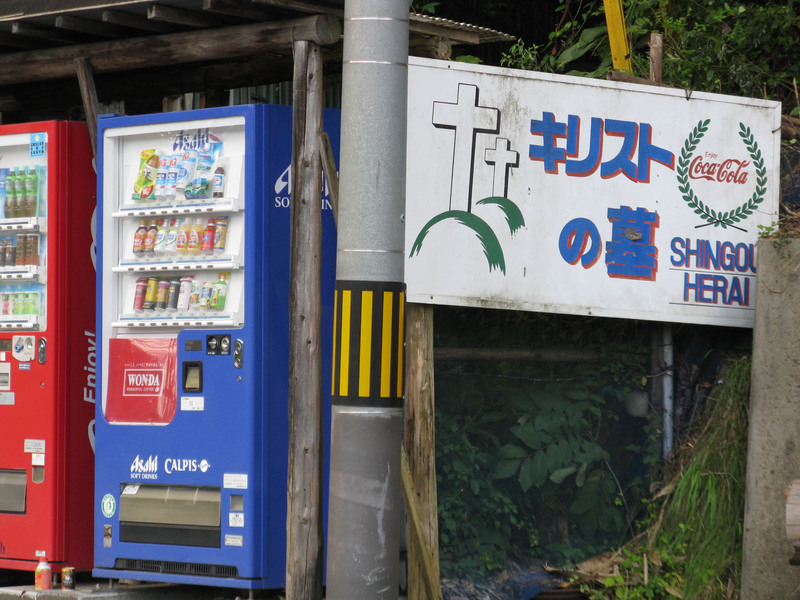 When I knocked on her door she answered in curlers and a housecoat, sat me down, and quite obligingly told me about her life as a Christian in Shingo. She was born in Kobe, and fell in love with the poor, remote hamlet where she now lives when she was a 23-year-old education student from the Japan Missionary College visiting for a few months. Years later, unable to forget the place and the children she met here, she came back and built herself a house. She didn’t know about the graves (they had yet to become the tourist attraction they are today). It wasn’t until a few years later that a municipal official came knocking on her door. The town held an annual Christ Festival at the graves, and wanted to know if she would participate, being as she was the only resident Christian. She agreed. “I went and led some hymns. Afterward a Shinto priest came out and did a ritual blessing, and I thought to myself, ‘Oh no, this is bad.’ I haven’t got involved with the festival since then,” she said. “Of course I knew the story about the graves was a lie all along. I’ve been to Israel myself. But there are the odd customs, and the man who looked foreign … Maybe there is something there. Anyway, I can’t very well come out and oppose it. There’s a big sign when you come into town announcing ‘Welcome to Christ’s Village.’ It’s the center of the revival program,” she said. 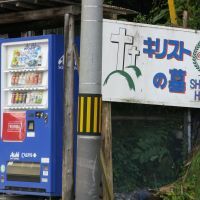 So Toshiko Sato, the only Christian in Christ’s Village, stays up on her hillside, biting her tongue, tending her garden — and listening to Sunday sermons via the Internet. The Legend of Christ Museum is open 9 a.m. to 5 p.m. Thurs. to Tues. (closed Wed). For more information, call the museum at (0178) 78-3741 or the Shingo Tourism Association on (0178) 78-2345. Getting there: A car makes things far easier, but the Nanbu Bus Co. ( 44-5151) runs six services a day from Gonohe, which is served by buses from Hachinohe on the Tohoku Shinkansen Line.